What to make of the NHS blanket assessing its PSCs? Contractors' Questions: What to make of NHS’s blanket IR35 decision? 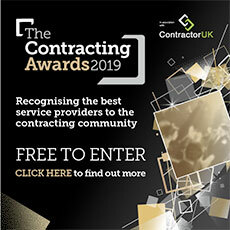 Contractor’s Question: I’ve read the PSC part of the NHS letter seen by ContractorUK which says HMRC determines that all us PSCs as inside IR35. What should we make of this blanket assessment and does it go against the letter or spirit of the ‘reasonable care’ clause? Expert’s Answer: The NHS decision is an example of a public sector body taking a risk-based approach to the change in the IR35 legislation. In addition to the text you’ve seen, NHS Improvement have stated that that PSCs will not be allowed to send a substitute worker to the NHS Trust when the contracted worker is unavailable. This is perhaps not surprising, particularly for medical / clinical roles in the NHS where patient care is obviously a priority and locums are likely to be working under the supervision of the Trust’s medical director. We are aware that NHS Improvement has subsequently clarified their stance by publishing a more detailed view of roles which are definitely subject to IR35 and roles which “should” also fall within IR35. This latter group of roles need to be checked using the ESS/ IR35 digital tool. Clearly non-medical services PSCs will be caught up in this risk-based approach from NHS Improvement. But the additional guidance attempts to address this with non-medical / non-clinical roles above AfC (Agenda for Change) band 6 or within the very senior management range falling into the category where a status check via the ESS is recommended. Regarding the “reasonable care” clause, if the public sector hirer does not take reasonable care in coming to an “outside” IR35 opinion and the PSC is paid gross, then HMRC is likely to seek the unpaid PAYE from the hirer -- if they can prove a lack of reasonable care. If however “reasonable care” is not taken but the opinion is ‘inside’ IR35 and the PSC is paid net of tax, then HMRC do not have a tax underpayment so would not need to trigger the clause. The risk for a public sector hirer imposing a blanket inside IR35 position would be if a recruitment agency ignores this view, and pays the PSC without deduction of PAYE. But I can’t see this scenario arising intentionally as it wouldn’t be a good move for a recruitment agency to put their client at risk. The expert was Matt Fryer, head of compliance at contractor accountancy firm Brookson.